On Saturday evening (a lovely spring night), we attended a music concert put on by the Swedish Folkdancers and Choir at the Agricola Finnish Church at York Mills and Yonge Street. Lovely, lovely tunes, some plaintive and some that make you tap your toes with joy. The highlight for me was one of the musical soloists, a talented young woman named Catherine. 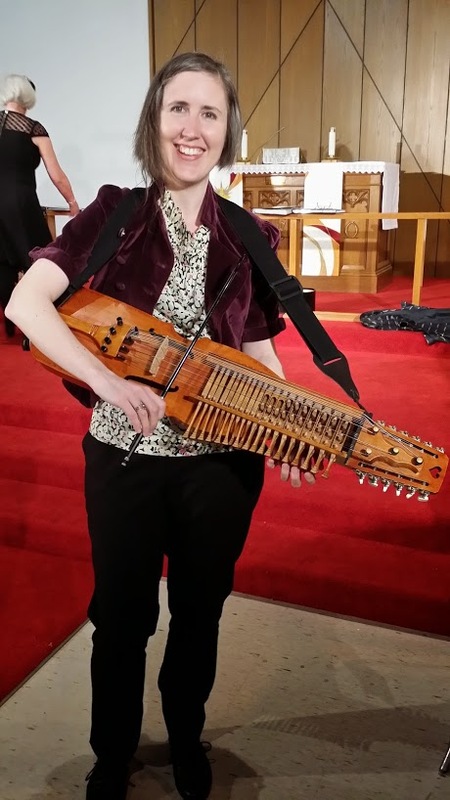 She played an old-style sweet-sounding instrument called the nyckelharpa. It has 16 strings, three rows of pegs that look like giant sized cribbage markers and you play it with a very short bow. Thisunique stringed wooden duck-billed platypus of an instrument is made in Sweden (leave it to the Swedes to wile away those long, dark alcohol-fueled Arctic months creating something so complex). In fact, the art and the players were dying out until recently, when there has been a revival of folks traditions. Catherine said that she happened across one in Toronto by accident and couldn’t wait to learn how to play. She got a Canada Council grant and travelled to Sweden to study for 9 months a few years ago. Who knew? I struggled to learn to play (saw at is more like it) the violin and viola. They’ve been sitting in their cases for longer than I care to remember. The bow strings are all frizzed like a bad hair day and so out of tune, it’s painful to hear me even try to get a semblance of tone out of them. We also met two very interesting men. The first was from Guyana, the Caribbean nation. He was a choir member who joined because he liked the sound of the happy Scandinavian songs even though, in the beginning, he knew nothing of Sweden or the Swedish language. The second gentleman was from Sudan in Africa. We had a short conversation (my Swedish is rusty). He spoke Swedish well and he sang with a hearty tone. How did he end up in Sweden, I asked? He’d been in a refugee camp for years (no doubt a victim of ongoing rebellions and killings of innocents). He’d been sponsored by a Swedish organization and ended up in a tiny town far in the northwest of Sweden, where two railway lines cross. He lived there for four years while he attended university. What fun it was to speak with them! As much as I sometimes bemoan the fact that I know a lot of people and don’t really yearn to meet more, I can’t help myself when I’m in a crowd of such interesting, accomplished human beings. My head was spinning with ideas about the stories I could write about their inter-twined lives and the nyckelharpa and a band of travelling musicians busking for a living. 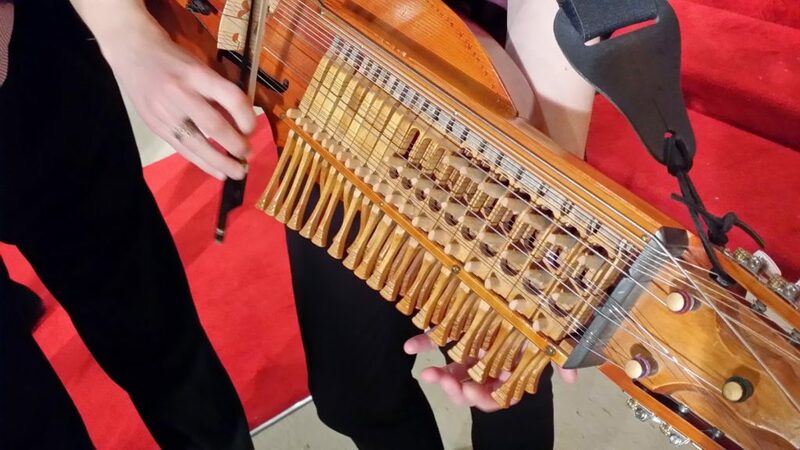 Here’s a YouTube video of a nyckelharpa being played by an artist called Thomas Roth.